Let the madness begin!! In celebration of spring, basketball and healthy hair, Madison Reed is offering FREE shipping on all orders this weekend! 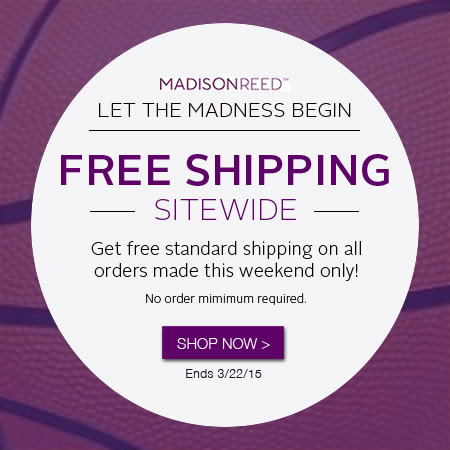 Free standard shipping sitewide at Madison Reed on March 21 and 22, 2015. No code needed.